Product prices and availability are accurate as of 2019-04-10 06:30:39 EDT and are subject to change. Any price and availability information displayed on http://www.amazon.com/ at the time of purchase will apply to the purchase of this product. 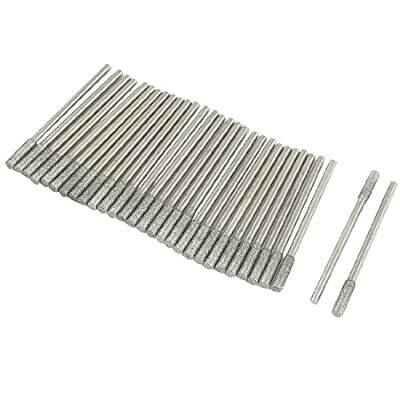 30 Pcs 3mm diameter cylinder shaped head, 2.3mm diameter shank, diamond grinding bits in a protective plastic case, can be used for engraving or carving in glass, tile, ceramic, etc. Diamond grinding bits are perfect for use with your high speed drilling or grinding tool, such as for dremel (not included here).